The island is home to 64 residents, whose village is located on the western shore. The Inupiat are known as the “walrus people”, due to the role played by these mammals in their life and culture. 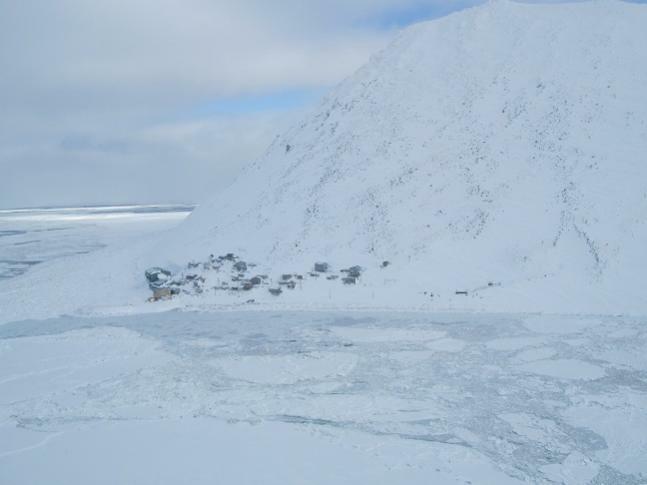 Their community can only be reached year-around by helicopter, from Nome, 230 km away. 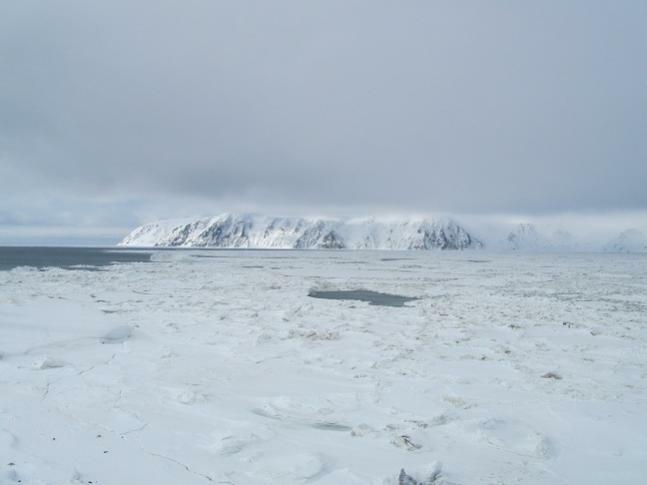 Little Diomede is part of the IOTA reference NA-150, in demand by 88.6% of the IOTA members. Organizing my trip in March aimed to take advantage of better HF propagation this season, as well as ice pack conditions, possibly allowing for passage and setting up camp at the northeast edge of the island, in order to avoid the massive rock wall obstructing the propagation path to NA and SA. The radio station was setup in the mechanical room, on the ground floor of the local school, while my accommodation was on the third floor. Built in two stages, 1975 and 1983, the school enrols now 17 students. 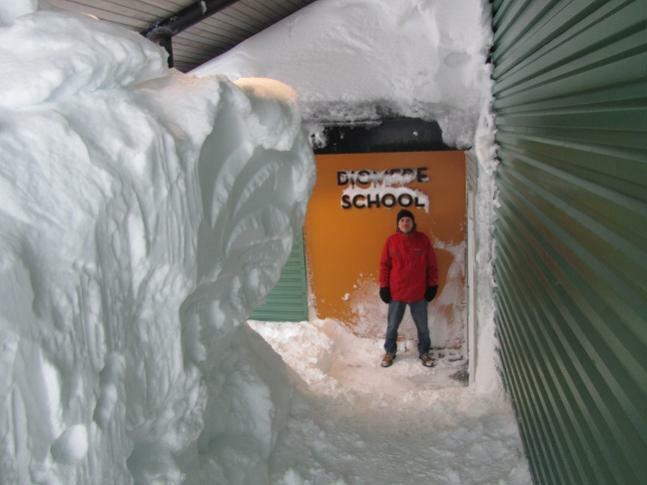 A blizzard began soon after my arrival, lasting for five days. 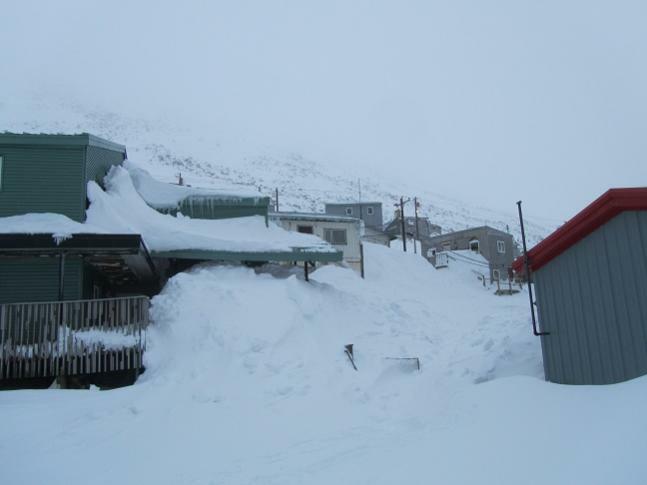 Northern cold winds pummeled the island at 65 km/h and -20 C, bringing more snow on top of the largest amount ever witnessed by locals, 2.5 m high at times. Since the ice pack wasn’t thick and stable enough for passing, once the wind subsided, Rob - one of the school teachers - and I attempted to climb the steep hill instead. Unfortunately, without proper ice climbing boots and picks, we were forced to abandon the try before long. The wind switched from the south for the remainder of my stay, bringing warmer weather. 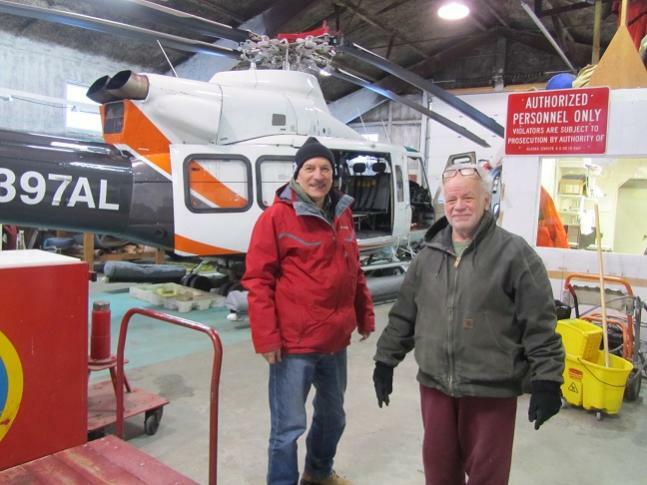 Fog and freezing rain became common, preventing the helicopter landing, which left me stuck on the island for an additional seven days. I used an IC-7000 with a KPA-500 amplifier, and a multi-band wire vertical. 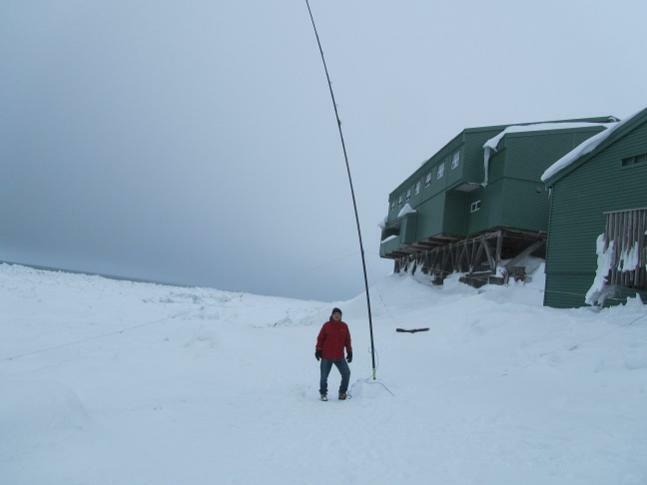 The log includes 2667 QSOs between Mar 19 and 31, 2019, with 2456 stations in 58 DXCCs on 5 continents. About 17% of the contacts were on 20 m, 82% on 30 m, and 1% on 40 m. All QSOs were in CW, since the polar flutter and heavy QSB conditions made the use of the SSB less reliable. The continental distribution of QSOs was EU 59%, AS 38%, NA 2%, OC 1%, and AF <1%. The top five DXCCs in the log were JA, UA, DL, I, UR. 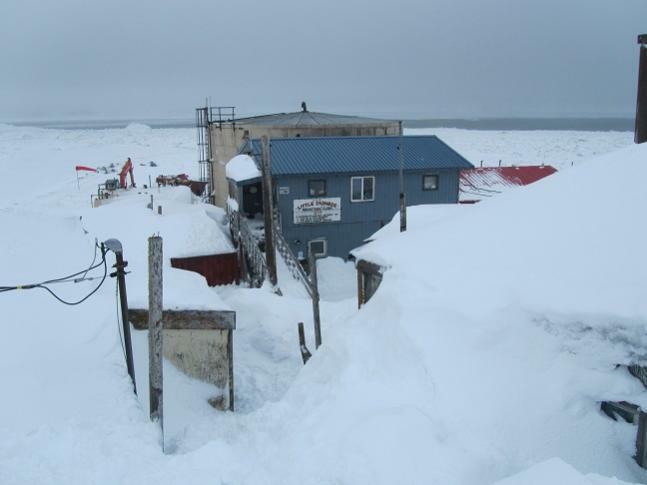 I wish to thank The Inalik Native Corporation for allowing me to carry out this project. I remain indebted to Rob, Mike, Anthony, Steve, and Curt - from the Diomede School, and Langdon - visiting on assignment, for their help during my stay. 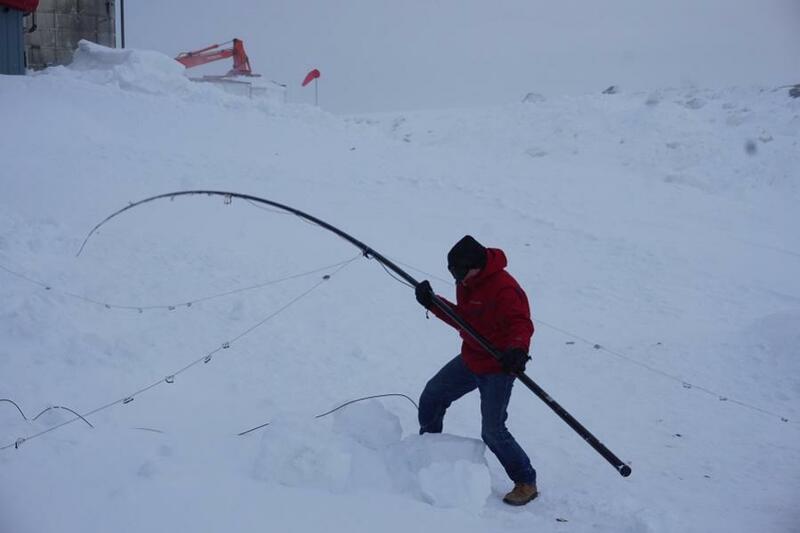 Ramon’s (AL7X) assistance in Nome is highly appreciated. 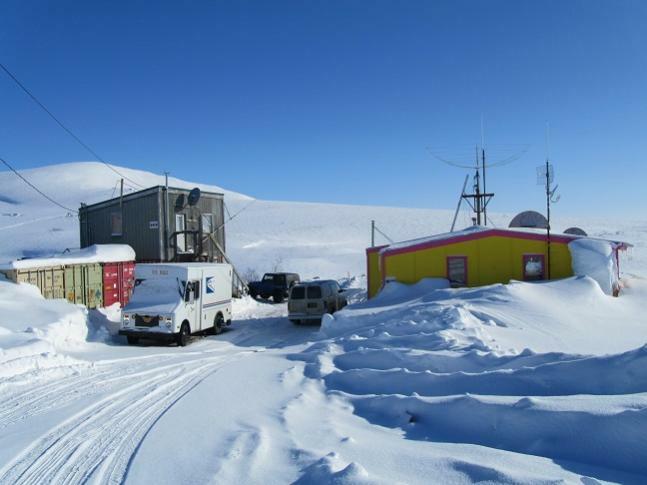 This project benefited from grants provided by DXNews.com, International Radio Expedition Foundation (IREF), RSGB, German DX Foundation (GDXF), and Clipperton DX Club. 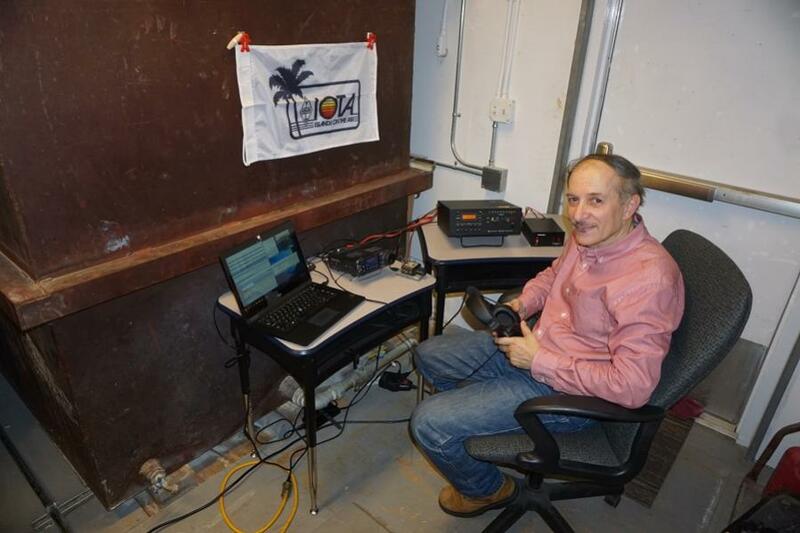 I am also grateful to Bob (KD1CT) for his exceptional support, to the top donors N4WW, N6FX, PT7WA, VE3ZZ, VE7DP, VK5MAV, WC6DX, and many others who offered financial assistance. Author - Cezar Trifu, VE3LYC.